First: Remove it promptly. Watch this video on how to properly remove a tick. You may want to save the tick for later ID (see Next). Perform a full tick check in case there are others. Remove clothing and tumble dry on high heat for 1 hour to kill additional ticks. 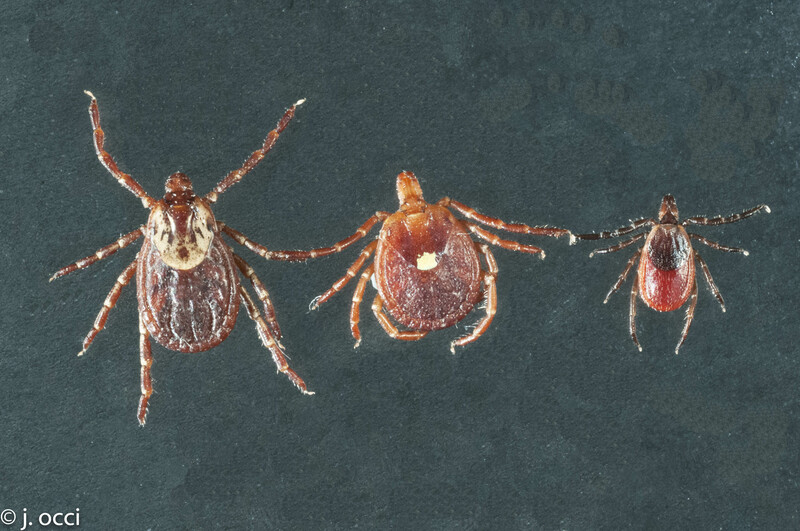 Next: Knowing the tick's species, life stage, and engorgement level can help you determine your risk of tick-borne disease. You may be able to bring it to your county's cooperative extension office or mosquito control agency for Tick ID, check with them for more information. You can also use this online tool from the University of Rhode Island to identify them yourself. Be on the lookout for symptoms of a tick-borne disease, such as fever, headache, muscle ache, or rash. Should symptoms develop, see a physician immediately and tell them about the tick bite. In the future: Prevent future tick bites by wearing repellents, avoiding tick-infested areas, and performing frequent tick checks. There are several key landscape modification techniques that can help reduce tick populations in your backyard. Chemical control should always be a last resort as the pesticides sprayed for ticks will also kill beneficial insects, like butterflies and bees.